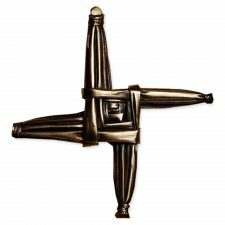 Unfortunately this St. Brigid’s Cross is no longer available. 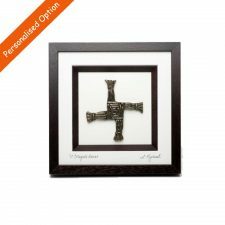 A lovely St. Brigid’s Cross for hanging on the wall. The St. Brigid’s Cross has a strong tradition in Irish culture and folklore. 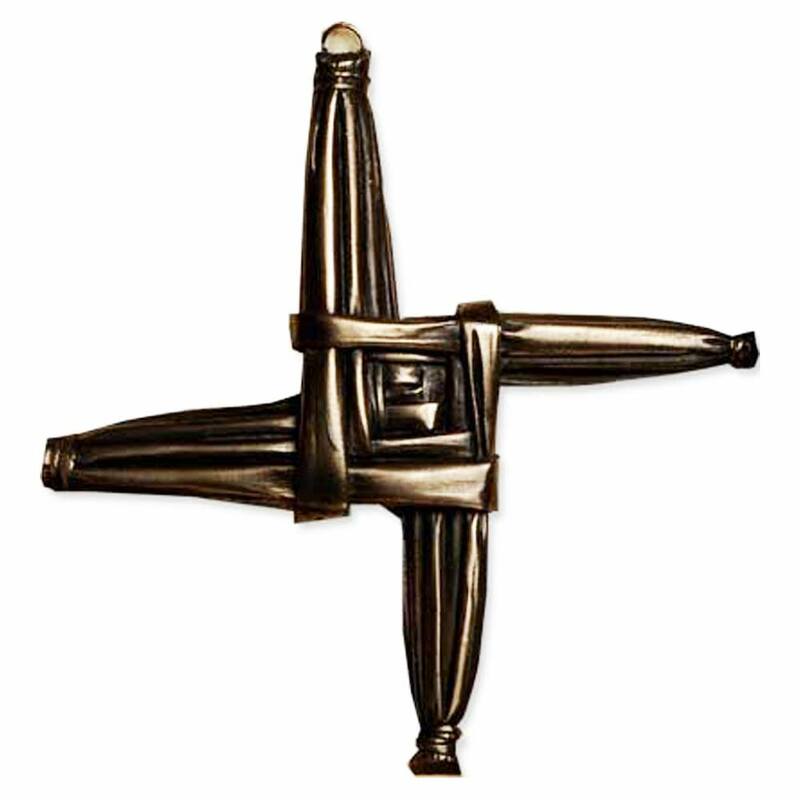 This Irish Cross represents St. Brigid, who is Ireland’s 2nd patron saint. 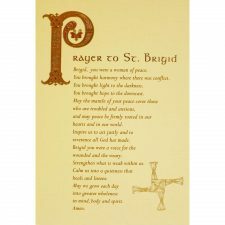 Traditionally the St. Brigid’s Cross is hung in homes to protect from fire and evil and is a traditional new home gift. A wonderful gift from Ireland. This gift is no longer available. Handmade and finished in bronze, no two pieces have the exact same shading, making it unique. Dimensions: 7.5″ diameter from arm to arm. 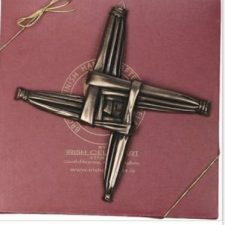 The service I received from you when I ordered the St Brigid’s Cross as a gift for a friend was amazing. The cross was gift wrapped and sent to New Zealand and I received it within 4 days! From Ireland to NZ, that was awesome. I haven’t unwrapped the cross as it is a gift, but as we already have one of our own, these are something every home should have. 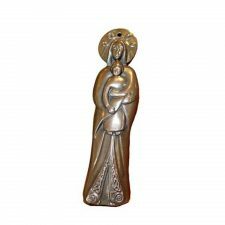 Over the years I’ve accustomed to the finest quality merchandise and service from Totally Irish Gifts and have never been disappointed. Shipments are usually received within 2-3 days, even overseas. I recently sold my home in Texas and wanted to give the new buyers a special housewarming gift. As we moved to Ireland a couple of months ago, the traditional St. Brigid’s Cross seemed appropriate. I asked Totally Irish Gifts to ship it directly to the recipients in Texas. They not only gift wrapped it, sent a lovely card with it, but most importantly – they tracked it until they were confident it had been received. In transit, it had encountered a delay and the company immediately notified me to help resolve. I never would have known had the store not been keeping a close eye on the delivery. I guarantee I’ll be using Totally Irish Gifts for all my future gift giving to friends and family outside of Ireland. I have no doubt each and every order will be treated as if it were family. Thank you, Shauna, for such outstanding service. By the way, the Cross was a real hit back home. Cross arrived today & its lovely. Thanks! A great gift to give to friend moving into their new homes. This is becoming a tradition for us to give our friends one of these and everyone always appreciates it. 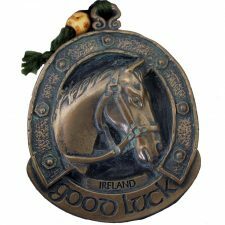 Who doesn’t love a little Irish good luck. It comes with a wee card about the cross and is in a lovely box. Once again I have ordered from you for delivery to New Zealand. I am totally amazed by your honesty and efficiency. The speed with which you handled my order was next to none and the speed with which it arrived at my NZ address is once again amazing. I received my crosses today well in time for delivery to my two friend’s new homes.